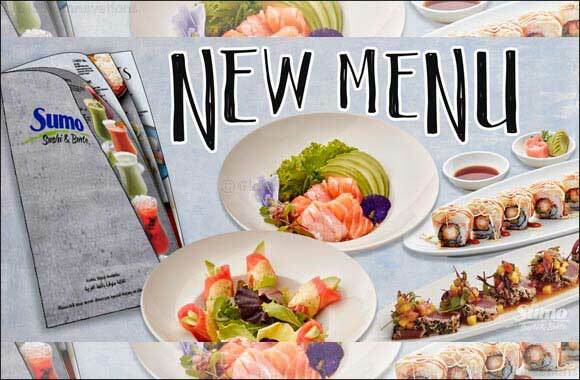 March 26, 2019 - Dubai, UAE: With an already extensive menu of more than 100 delicious dishes and refreshing beverage selections, Sumo Sushi & Bento is adding over a dozen more innovative new menu items this season. Now available at all 11 restaurant locations, the new menu items include innovative and healthy additions to drinks, entr�es, sushi rolls, poke bowls, noodles and desserts. And, just as Sumo has done for almost 19 years, every menu item is made using only the freshest of ingredients. Long-standing favorites are still on the menu, including the popular Salmon Tuna Tartare, Samurai, Sushi Sandwich and Salmon Lovers Bento, along with the recently launched Chikara Power Bowls. You can also download their mobile app on App Store and Play Store.